With half-lives ranging from 30 to 24,000, or even 16 million years , the radioactive elements in nuclear waste defy our typical operating time frames. The questions around nuclear waste storage — how to keep it safe from those who might wish to weaponize it, where to store it, by what methods, for how long, and with what markings, if any, to warn humans who might stumble upon it thousands of years in the future—require long-term thinking. The “San Onofre” the user was referring to is the San Onofre nuclear plant in San Diego County, California, which sits on scenic bluffs overlooking the Pacific Ocean and sands dotted with surfers and beach umbrellas. Once a provider of eighteen percent of Southern California’s energy demands, San Onofre is in the midst of a 20-year, $4.4 billion demolition project following the failure of replacement steam generators in 02013. At the time, Senator Barbara Boxer said San Ofore was “unsafe and posed a danger to the eight million people living within fifty miles of the plant,” and opened a criminal investigation. A part of the demolition involved figuring out what to do with the plant’s millions of pounds of high-level waste (the “spent fuel” leftover after uranium is processed) that simmered on-site in nuclear pools. It was decided that the nuclear waste would be transported a few hundred yards to the beach, where it would be buried underground in what local residents have taken to calling the “concrete monolith” – a state of the art dry cask storage container that will house 75 concrete-sealed tubes of San Onofre’s nuclear waste until 2049. This has left a lot of San Diego County residents unhappy. “We held a sacred water ceremony today @ San Onofre where 3.6mm lbs of nuclear waste are being buried on the beach near the San Andreas faultline,” tweeted Gloria Garrett, hinting at a nuclear calamity to come. Congressman Darrell Issa, who represents the district of the decommissioned plant and introduced a bill in February 02017 to relocate the waste from San Onofre, was concerned about the bottom line. “The issue of what to do with nuclear waste is a clear and present danger to every human life within 100 miles of San Onofre,” said Charles Langley of the activist group Public Watchdogs. Nobody wants a nuclear waste storage dump in their backyards. That is, in essence, the story of America’s pursuit of nuclear energy as a source of electricity for the last sixty years. In 01957, the first American commercial nuclear reactor opened in the United States. That same year, the National Academy of Sciences (NAS) recommended that spent fuel should be transported from reactors and buried deep underground. Those recommendations went largely unheeded until the Three Mile Island meltdown of March 01979, when 40,000 gallons of radioactive wastewater from the reactor poured into Pennsylvania’s Susquehanna River. 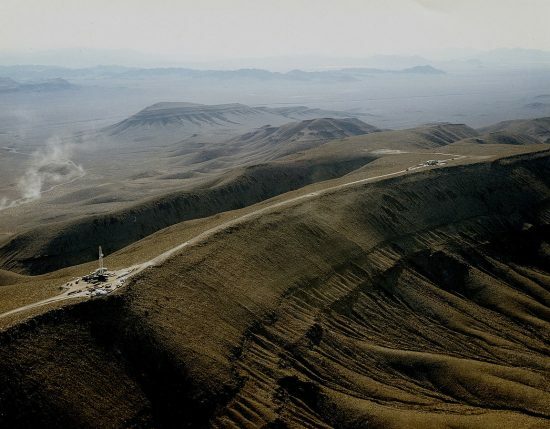 Yucca Mountain was designated as the site for a national repository of nuclear waste in the Nuclear Waste Act of 01987. 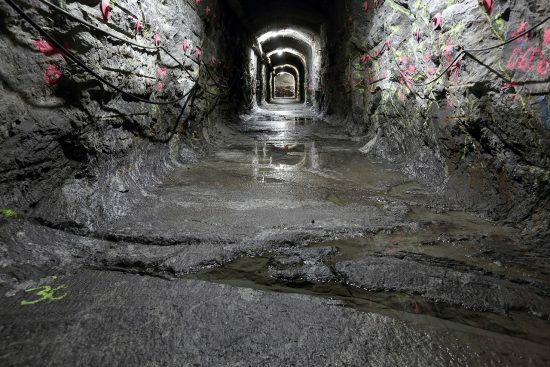 It was to be a deep geological repository for permanently sealing off and storing all of the nation’s nuclear waste, one that would require feats of engineering and billions of dollars to build. Construction began in the 01990s. The repository was scheduled to open and begin accepting waste on March 21, 02017. But pushback from Nevadans, who worried about long-term radiation risks and felt that it was unfair to store nuclear waste in a state that has no nuclear reactors, left the project defunded and on indefinite hiatus since 02011. Today, nuclear power provides twenty percent of America’s electricity, producing almost 70,000 tons of waste a year. 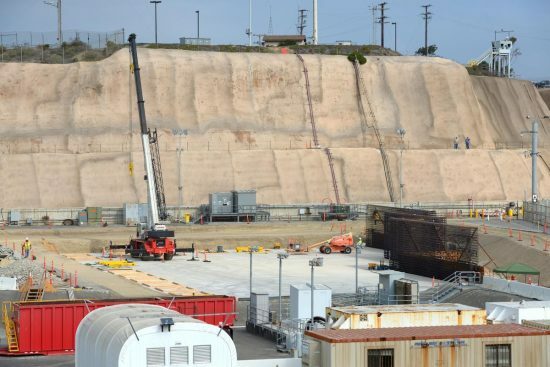 Most of the 121 nuclear sites in the United States opt for the San Onofre route, storing waste on-site in dry casks made of steel and concrete as they wait for the Department of Energy to choose a new repository. 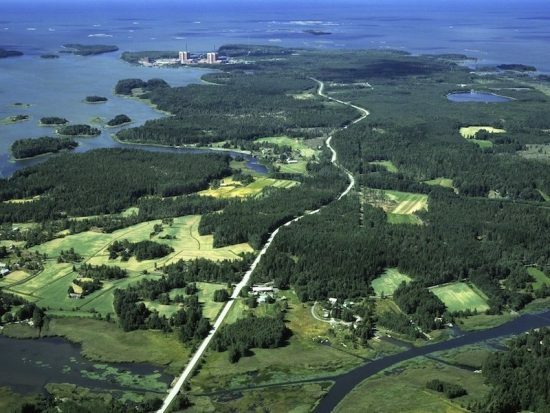 Anthropologist Vincent Ialenti recently spent two years doing field work with a Finnish team of experts who were in the process of researching the Onkalo long term geological repository in Western Finland that, like Yucca Mountain, would store all of the Finland’s nuclear waste. The Safety Case project, as it was called, required experts to think in deep time about the myriad of factors (geological, ecological, and climatological) that might affect the site as it stored waste for thousands of years. What sort of scientific ethos, I wondered, do Safety Case experts adopt in their daily dealings with seemingly unimaginable spans of time? Has their work affected how they understand the world and humanity’s place within it? If so, how? If not, why not? I imagined the enormous Ice Age ice sheet that, 20,000 years ago, covered the land below. I imagined Finland decompressing when this enormous ice sheet later receded — its shorelines extending outward as Finland’s elevation rose ever higher above sea level. I imagined coastal areas of Finland emerging from the ice around 10,000 BC. I imagined lakes, rivers, forests and human settlements sprouting up, disappearing and changing shape and size over the millennia. So, I wonder: Could it be that nuclear waste repository projects — long approached by environmentalists and critical intellectuals with skepticism — are developing among the best tools for re-thinking humanity’s place within the deeper history of our environment? Could opening ourselves to deep, geologic, planetary timescales inspire positive change in our ways of living on a damaged planet? IV. How Long is Too Long? Finland’s Onkalo Repository is designed to last for 100,000 years. In the 01990s, the U.S. Environmental Protection Agency decided that a 10,000 year-time span was how long a U.S. nuclear waste storage facility must remain sealed off, basing their decision in part on the predicted frequencies of ice ages. Later, [the 10,000-year EPA standard] was increased to a million years by the U.S. Court of Appeals in part due to the long half lives of certain radioactive isotopes and in part due to a significantly less conservative guess. [The Department of Energy] hired anthropologists to study the history of language—both at Yucca and at the WIPP site in New Mexico—to conceive of a way to communicate far into the future that waste buried underground was not to be disturbed. 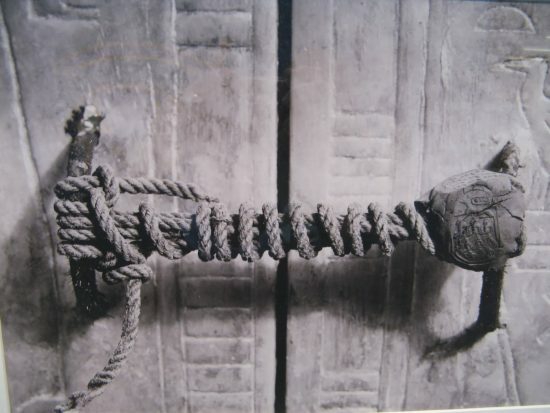 But the Blue Ribbon Commission’s report [of 02012] calls these abstract time periods a little impractical. In a spirited 02006 Long Now debate between Global Business Network co-founder and Long Now board member Peter Schwartz and Ralph Cavanagh of the Nuclear Resources Defense Council, Cavanagh pressed Schwartz on the problem of nuclear waste storage. The problem of nuclear waste isn’t a problem of storage for a thousand years or a million years. The issue is storing it long enough so we can put it in a form where we can reprocess it and recycle it, and that form is probably surface storage in very strong caskets in relatively few sites, i.e., not at every reactor, and also not at one single national repository, but at several sites throughout the world with it in mind that you are not putting waste in the ground forever where it could migrate and leak and raise all the concerns that people rightly have about nuclear waste storage. By redesigning the way in which you manage the waste, you’d change the nature of the challenge fundamentally. Schwartz and other advocates of recycling spent fuel have discussed new pyrometallurgical technologies for reprocessing that could make nuclear power “truly sustainable and essentially inexhaustible.” These emerging pyro-processes, coupled with faster nuclear reactors, can capture upwards of 100 times more of the energy and produce little to no plutonium, thereby easing concerns that the waste could be weaponized. Recycling spent fuel would vastly reduce the amount of high-level waste, as well as the length of time that the waste must be isolated. (The Argonne National Laboratory believes its pyrochemical processing methods can drop the time needed to isolate waste from 300,000 years to 300 years). There’s just one problem: the U.S. currently does not reprocess or recycle its spent fuel. President Jimmy Carter banned the commercial reprocessing of nuclear waste in 01977 over concerns that the plutonium in spent fuel could be extracted to produce nuclear weapons. Though President Reagan lifted the ban in 01981, the federal government has for the most part declined to provide subsidies for commercial reprocessing, and subsequent administrations have spoken out against it. Today, the “ban” effectively remains in place. When the ban was first issued, the U.S. expected other nuclear nations like Great Britain and France to follow suit. They did not. Today, France generates eighty percent of its electricity from nuclear power, with much of that energy coming from reprocessing and recycling spent fuel. Japan and the U.K reprocess their fuel, and China and India are modeling their reactors on France’s reprocessing program. The United States, on the other hand, uses less than five percent of its nuclear fuel, storing the rest as waste. 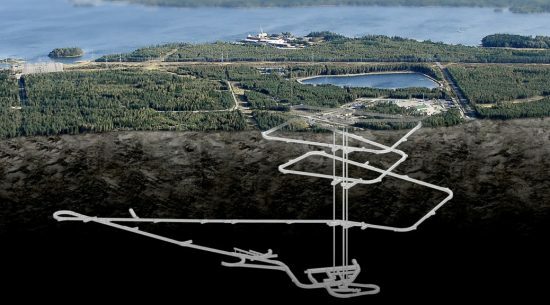 Disposing of “used” fuel in a deep-geologic repository as if it were worthless waste – and not a valuable resource for clean-energy production – is folly. Twelve states have banned the construction of nuclear plants until the waste problem is resolved. But there is no enthusiasm for building the proposed waste depository. In fact, the Obama administration pulled the plug on the one high-level waste depository that was under construction at Nevada’s Yucca Mountain. 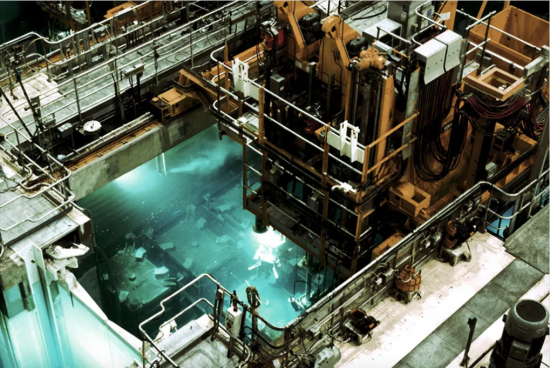 The outlook might be different if Congress were to lift the ban on nuclear-fuel recycling, which would cut the amount of waste requiring disposal by more than half. Instead of requiring a political consensus on multiple repository sites to store nuclear plant waste, one facility would be sufficient, reducing disposal costs by billions of dollars. By lifting the ban on spent fuel recycling we could make use of a valuable resource, provide an answer to the nuclear waste problem, open the way for a new generation of nuclear plants to meet America’s growing electricity needs, and put the United States in a leadership position on climate-change action. According to Stroud, critics of nuclear processing cite its cost (a Japanese government report from 02004 found reprocessing to be four times as costly as non-reprocessed nuclear power); the current abundance of uranium (Stroud says most experts agree that “if the world’s needs quadrupled today, uranium wouldn’t run out for another eighty years”); the fact that while reprocessing produces less waste, it still wouldn’t eliminate the need for a site to store it; and finally, the risk of spent fuel being used to make nuclear weapons. The reality is that no nuclear materials ever have been obtained from the spent fuel of a nuclear power plant, owing both to the substantial cost and technical difficulty of doing so and because of effective oversight by the national governments and the International Atomic Energy Agency. Whether we ultimately decide to store spent fuel for 10,000 years in a sealed off repository deep underground or for 300 years in above-ground casks, there’s still the question of how to effectively mark nuclear waste to warn future generations who might stumble upon it. The languages we speak now might not be spoken in the future, so the written word must be cast aside in favor of “nuclear semiotics” whose symbols stand the test of time. After the U.S. Department of Energy assembled a task force of anthropologists and linguists to tackle the problem in 01981, French author Françoise Bastide and Italian semiologist Paolo Fabbri proposed an intriguing solution: ray cats. Imagine a cat bred to turn green when near radioactive material. That is, in essence, the ray cat solution. “[Their] role as a detector of radiation should be anchored in cultural tradition by introducing a suitable name (eg, ‘ray cat’)” Bastide and Fabbri wrote at the time. 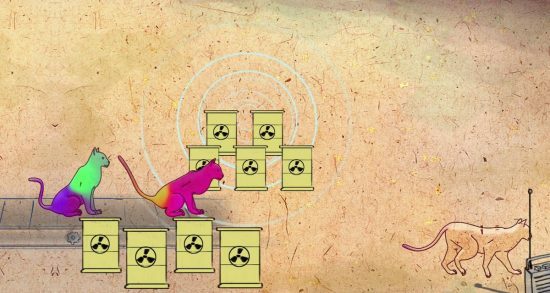 Alexander Rose, Executive Director at Long Now who has visited several of the proposed nuclear waste sites, suggests however that solutions like the ray cats only address part of the problem. Rose said the best solution might be to not mark the waste sites at all. Considering the relatively low number of casualties that could come from encountering nuclear waste in the far future, Rose suggests that likely the best way to reduce risk is avoid attention. San Onofre’s nuclear waste will sit in a newly-developed Umax dry-cask storage container system made of the most corrosion-resistant grade of stainless steel. It is, according to regulators, earthquake-ready. Environmentalists are nonetheless concerned that the storage containers could crack, given the salty and moist environment of the beach. Others fear that an earthquake coupled with a tsunami cause a Fukushima-like meltdown on the West Coast. “Dry cask storage is a proven technology that has been used for more than three decades in the United States, subject to review and licensing by the U.S. Nuclear Regulatory Commission,” said a spokeswoman for Edison, the company that runs San Onofre, in an interview with the San Diego Union Tribune. A lawsuit is pending in the San Diego Supreme Court that challenges the California Coastal Commission’s 02015 permit for the site. A hearing is scheduled for March 02017. If the lawsuit is successful, the nuclear waste in San Onofre might have to move elsewhere sooner than anybody thought. Meanwhile, the U.S. Department of Energy in January 02017 started efforts to move nuclear waste to temporary storage sites in New Mexico and West Texas that could store the waste until a more long-term solution is devised. Donald Trump’s new Secretary of Energy, former Texas governor Rick Perry, is keen to see waste move to West Texas. Residents of the town of Andrews are split. Some see it as a boon for jobs. Others, as a surefire way to die on the job. 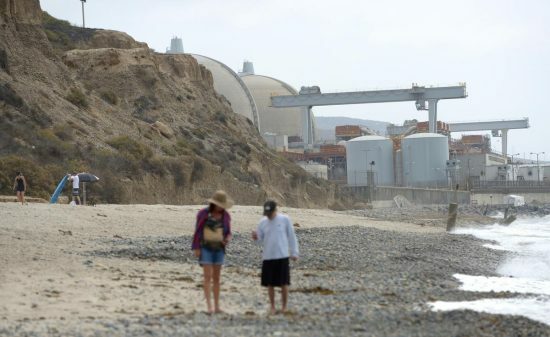 Regardless of how Andrews’ residents feel, San Onofre’s waste could soon be on the way. A prodding public might be in short supply. 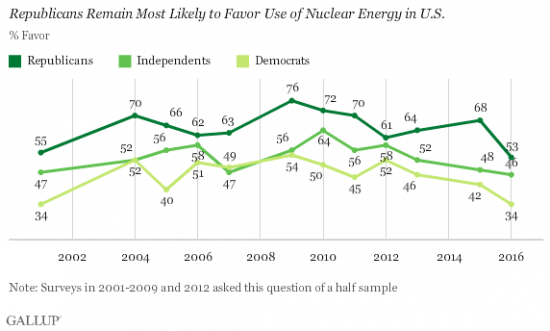 According to the latest Gallup poll, support for nuclear power in the United States has dipped to a fifteen-year low. For the first time since Gallup began asking the question in 01994, a majority of Americans (54%) oppose nuclear as an alternative energy source. Gallup suggests the decline in support is prompted less by fears about safety after incidents like the 02011 Fukushima nuclear plant meltdown, and more by “energy prices and the perceived abundance of energy sources.” Gallup found that Americans historically only perceive a looming energy shortage when gas prices are high. Lower gas prices at the pump over the last few years have Americans feeling less worried about the nation’s energy situation than ever before. Taking a longer view, the oil reserves fueling low gas prices will continue to dwindle. With the risks of climate change imminent, many in the nuclear industry argue that nuclear power would radically reduce CO2 levels and provide a cleaner, more efficient form of energy. But if a widespread embrace of nuclear technology comes to pass, it will require more than a change in sentiment in the U.S. public about its energy future. It will require people embracing the long-term nature of dealing with nuclear waste, and ultimately, to trust future generations to continue to solve these issues.